악기장이란 전통음악에 쓰이는 악기를 만드는 기능 또는 그러한 기능을 가진 사람을 말한다. 고구려의 벽화 속에는 이미 관악기와 현악기, 타악기가 모두 출현하고 있어 악기를 만드는 장인은 이미 삼국시대부터 있었을 것으로 짐작된다. 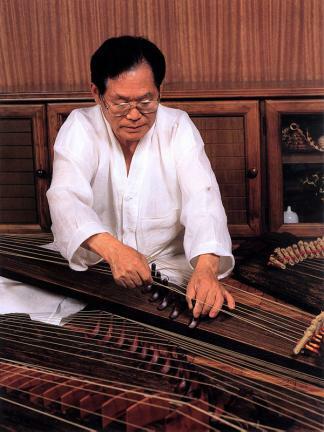 조선시대에는 궁중에 악기조성청이라는 독립된 기관을 설치하여 국가에서 필요한 악기를 제작하여 사용하였다. 현재 우리나라 국악기는 약 60∼70종으로 가야금과 거문고가 가장 대표적이다. 그 다음으로 아쟁·대쟁·호금 등이 주류를 이루고 있으며, 와공후·수공후·당비파·향비파·양금·금과술 등이 제작되고 있으나 거의 사용되지 않는다. 현악기는 울림통을 오동나무로 하고 밑판을 밤나무와 소나무 등으로 하는 것이 일반적이며, 장식품의 조각은 대추나무나 흑단, 향나무 등을 많이 이용한다. 오동나무는 음향이 잘 진동하며, 말라도 틈이 생기지 않고, 좀이 먹지 않는 것이 특징이다. 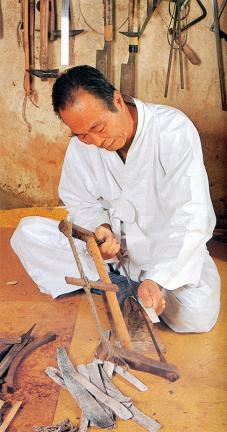 악기장은 우리나라의 전통적인 악기를 만드는 공예기술로 국가무형문화재로 지정하여 보호하고 있다. 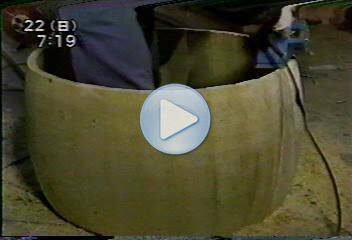 1995년 3월 16일에는 북 만드는 공예기술인 북메우기 종목을 악기장에 통합하였다. 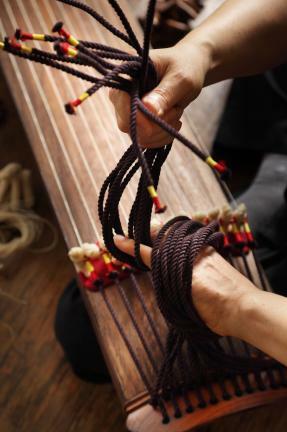 2012년 7월 23일에는 궁중의례 시 아악연주에 사용하는 편종·편경 제작 기능을 추가 지정하였다. 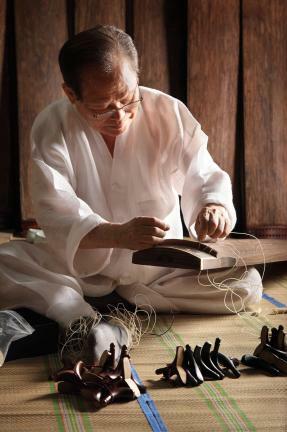 Akgijang refers to the skill of making instruments used to play the country’s traditional music or to an artisan with such a skill. 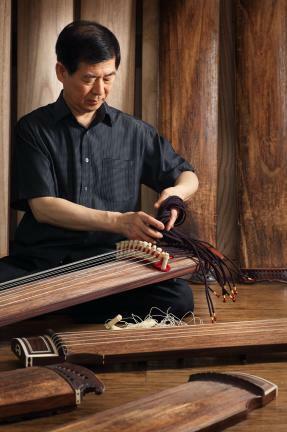 It is presumed on the basis of murals dating from the Goguryeo Period displaying wind, string, and percussion instruments that such artisans existed during the Three Kingdoms Period (57 BC – 668 AD). 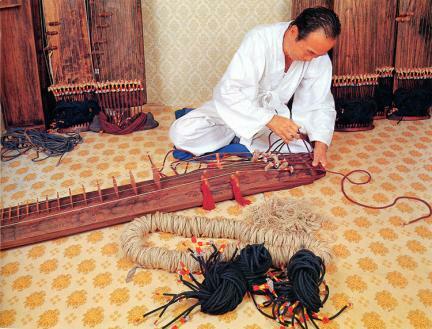 During the Joseon Period (1392 – 1910), musical instruments required by the government were made at an independent institution named Akgijoseongcheong (the Office of Production of Musical Instruments) within the Royal Court. 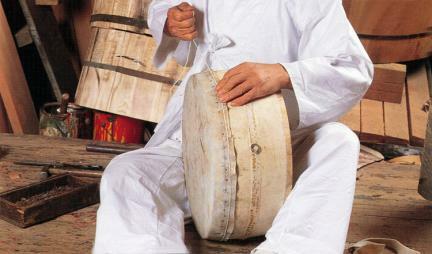 The number of types of the country’s traditional musical instruments comes to 60 – 70. 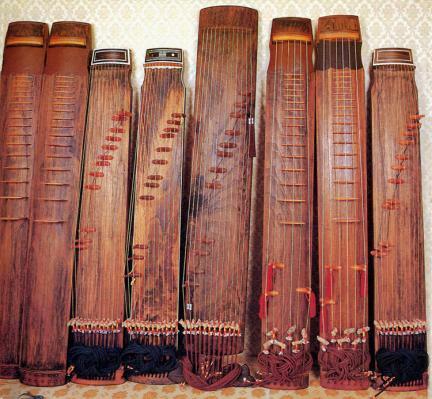 Gayageum (twelve-stringed zither) and geomungo (six-stringed zither) are the leading ones, followed by ajaeng (seven-stringed zither), daejaeng (fifteen-stringed zither), and hogeum (two-stringed fiddle). 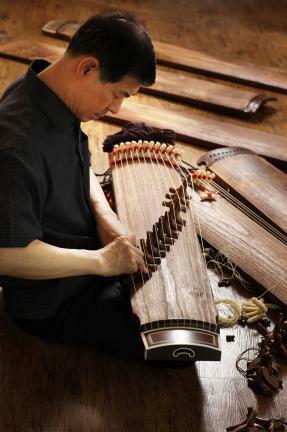 Wagonghu (harp), sugonghu (vertical harp), dangbipa (four-stringed Chinese mandolin), hyangbipa (Korean mandolin), yanggeum (dulcimer), geumgwasul are produced, but rarely used. 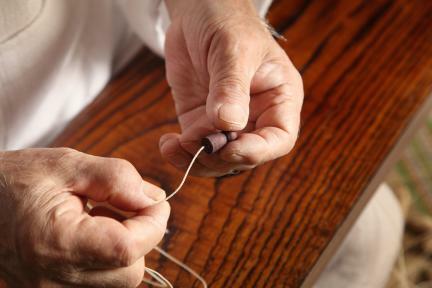 Generally, the sounding board of a string instrument is made of Paulownia wood. 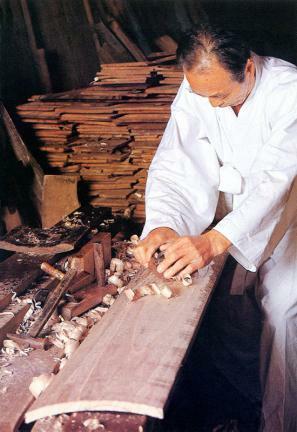 The bottom board is made of chestnut and pine wood. 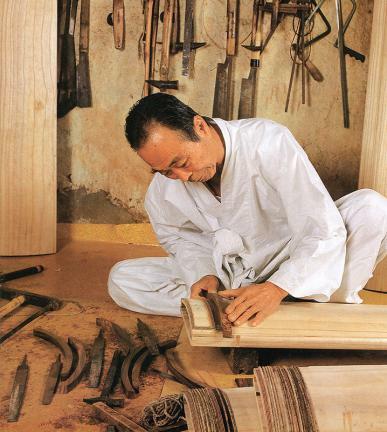 The wood of the jujube tree, ebony, and Chinese juniper tree is used to make pieces decorating instruments. Paulownia, in addition to being rot resistant, has good resonance properties and does not crack during drying. 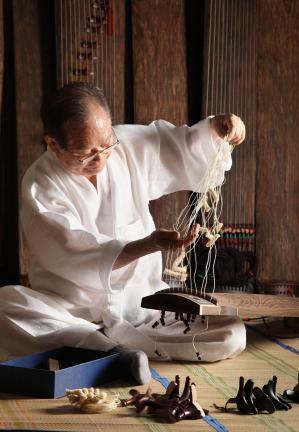 Akgijang is protected through designation as important intangible cultural heritage. 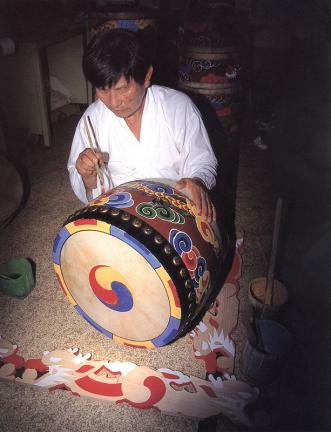 Buk (drum) making skills were integrated into Akgijang in March 1995.